The deluge of snow from the Rockies to the Midwest won't go away anytime soon, no matter what the calendar says. Parts of eight states will be under winter storm warning Sunday, despite the fact it's not winter anymore. The storm threatens to pummel a swath from Missouri to Ohio with 6 to 10 inches of snow, the National Weather Service said. 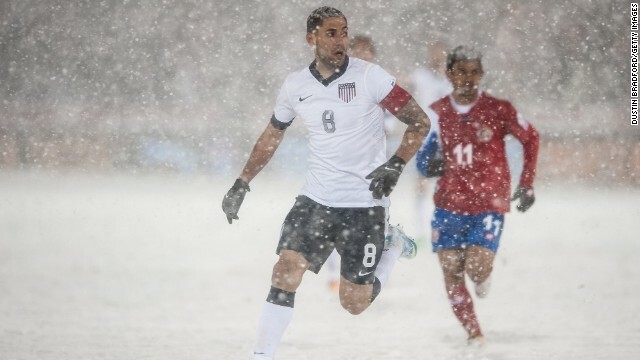 The Mexicans love playing soccer in the snow.